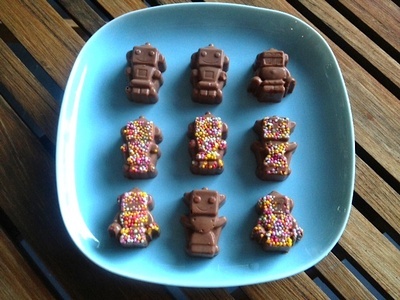 These cheeky chocolates are easy to create and make a fun treat or a party food feature at a themed birthday party. 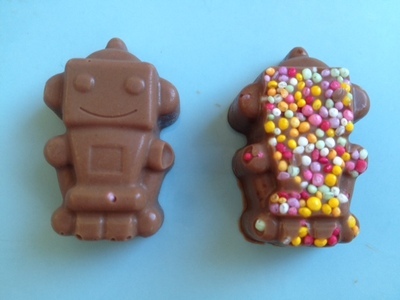 We made robots but you could make any shape depending on what chocolate molds you can find. 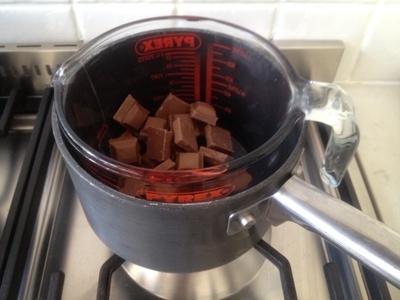 Break the chocolate into chunks in the Pyrex jug. Put a little water in a pan and hook the Pyrex jug over the side of the pan. 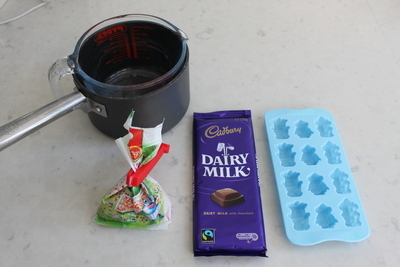 Heat the pan gently, stirring the chocolate as it melts. 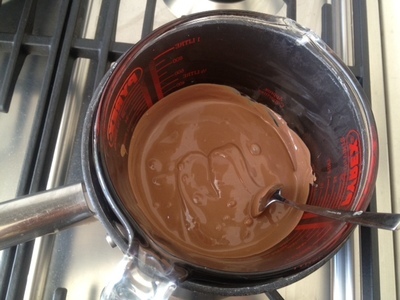 Be careful not to let any water bubble up from the pan into the chocolate mix in the jug. 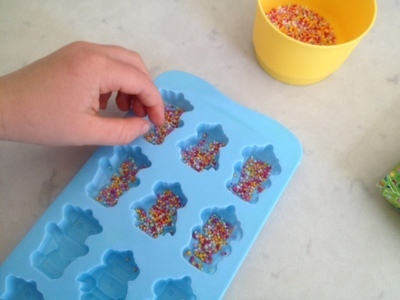 Add 100s and 1000s sprinkles into the bottom of the chocolate mold. Scoop the chocolate into the mold cavities then scrape any excess off with a knife to ensure a flat top. Chill in the fridge for several hours. 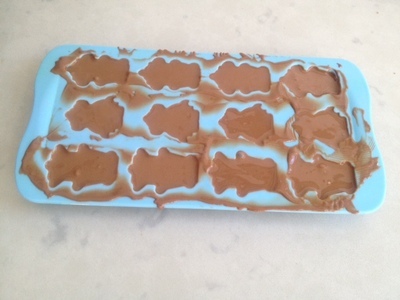 Pop out of the molds onto a serving plate then return to the fridge until ready to serve. Be sure to make more than you think you'll need as it's impossible not to eat a few when you pop them out of the mold!